The crowd on Palm Sunday was looking for a king who ultimately would have been just a historical footnote. Instead, they got someone who did not change their political or economic situation at all. And yet, he changed the entire history of the world. Each year, Christians celebrate and remember the last week in the life of Jesus before his resurrection. We call it “Holy Week.” For Jesus, the week began when he rode into Jerusalem on the back of a donkey, to cries of praise and celebration from the people. 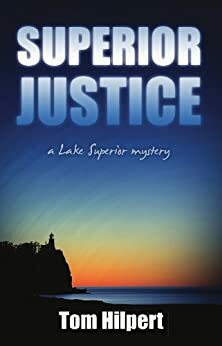 By Friday night of the same week, he was hanging dead on a Roman crucifix. On the very next Sunday, he rose from death; one week in total after riding into Jerusalem. Roughly one quarter of Matthew’s entire gospel is about that week, and with chapter 21, we have now entered that section of the book. That particular prophecy of Zechariah was all about salvation and deliverance. Many Jews probably felt it was fulfilled in some ways when the Maccabaeus Family led the rebellion that freed Israel from Greek rule, some hundred and sixty years before the time of Jesus. Now they were thinking that maybe God was going to do the same thing to the Romans and to king Herod, through this Jesus. They were thinking salvation all right, but political salvation. Now the truth is, I think most of the crowd was cheering in ignorance, and for the wrong reasons. After the crucifixion, the entire number of Jesus’ followers was about 120. But this crowd sounds a lot bigger than that. It would take more than 120 people to shake up the whole city. So a lot people were cheering who didn’t know Jesus very well, or only knew of him. It was party time, and they were partying. It sounded exciting. They thought maybe they had a new Judas Maccabaeus on their hands, and maybe they were going to be free from the oppression of Rome and king Herod (Herod was not a Jew). But why did Jesus participate in this? What Matthew records makes it sound like Jesus planned it: apparently Jesus had arranged the donkey ahead of time, and even agreed upon some sort of “password” with the owner of the animals. Luke and Mark also suggest that it was intentional on Jesus’ part. But the crowd had all the wrong reasons, so why did Jesus do it? Matthew records one of the reasons: it fulfilled the prophecy of Zechariah 9. Some of that prophecy certainly sounds like military deliverance from oppressing nations. In fact, it mentions war against Greece, so some of it may indeed have been fulfilled by the Maccabaeus Family. Remember, however, biblical prophecies usually have multiple layers that are not necessarily fulfilled at in one piece. And there are other clues in Zechariah 9 that show us that, whatever else it was about, it was also about Jesus. Prisoners are set free and given hope – because of the blood of the covenant. Jesus was riding into Jerusalem to shed his blood, to create the New Covenant, sealed with his blood, brought about by his death. Certainly, at the time, no one else knew that, but Jesus did. And later, John writes, the disciples remembered it (John 12:16). So, in this act of riding into Jerusalem on a donkey, receiving the praises of the people around him, Jesus was fulfilling prophecy, and giving anyone who cared to think about it a clue that he was the promised Messiah. I think Jesus did this for other reasons too. It was time for him to give up his life for our sins. I think he was deliberately provoking the Jewish leaders into taking the actions that would lead to his crucifixion. Up until this very last week of his earthly life, Jesus had kept a fairly low profile, and avoided popular acclaim and confrontation with the Jewish leaders. But now, I think he was deliberately antagonizing them so that they would do what had to be done. Finally, if Jesus really is who we believe he is, he was always worthy of worship at any moment in time. So, it is only good and right that as people come to celebrate the Passover, they worshipped the true Passover lamb who would give his life so that they could be spared. It is entirely appropriate that people worship him. He said as much to the Pharisees who criticized him. Now, as I have pointed out, even those who praised Jesus, did so with quite a bit of ignorance. Frankly, I don’t think most Christians get the point any more than the First Century Jews. The Jews got all excited about Passover and the Festival of Unleavened Bread, and I’m sure many of them forgot that it was really all about God’s deliverance. We have the same issues in America with Christmastime and Thanksgiving. We get all happy and excited, but often neglect real thankfulness or real remembrance of Jesus. And we do the same with the beginning of Christian Holy Week. Most churches I’ve been to wave palm leaves around at some point in the Palm Sunday service. I’ve been in churches where they brought in live donkeys and camels for the occasion. People shout and jump and sing, just like the Jews did on that first Palm Sunday. Just like the Jews did in ignorance. But we should know better, now. We look for God in the excitement, the noise, the action. And there is some of God in that, sometimes. But Elijah found that the heart of God was something, deeper, quieter, more meaningful. 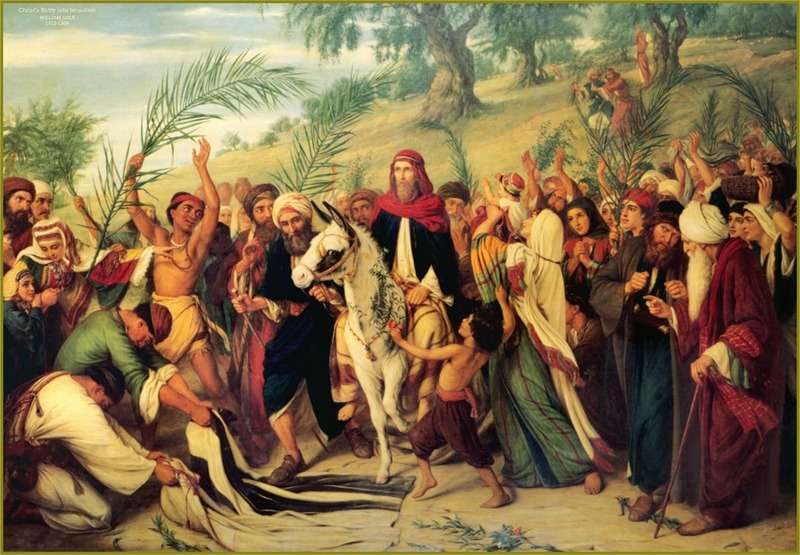 It wasn’t wrong for the Palm Sunday crowd in Jerusalem to have a raucous celebration. It wasn’t wrong for them to want deliverance from the Romans. But the real thing, the most important thing, was deeper than that. Two-thousand years later, Judas Maccabaeus is sort of a footnote in the ancient history of the Greek empire; many of you may not have heard about him before today. And that’s what the Jews were looking for – another person to give them temporary relief, another person who would end up as just another historical footnote. But they got someone who would not change their local political situation at all. Instead, he changed the entire world. I think we need to take notice of this. Too often, our vision is too small and limited. We just want Jesus to give us a better job, or more compliant kids, or to “fix” our spouse. Those aren’t necessarily bad things to want; it’s just that the vision is too small. What he wants to do inside our soul and spirit is so much bigger than a temporary situation fix. He has a permanent solution to the holes inside our hearts. He has brought us hope, and grace and love and permanent salvation; he has sealed it with his blood. Zechariah’s prophecy says: “Behold, your king is coming to you, righteous and having salvation.” I say the same thing: Jesus is coming to us. Do you recognize him as your king, the one with the right to rule your life? Are you willing to be part of his real mission, not to temporarily change a little corner of your world, but to bring hope and salvation to all people for eternity? Are you willing to receive not just what you want, but what he chooses to do in your life and with your life? Jesus literally gave up his life. The result was eternal salvation for billions. He invites us to join him – not necessarily to literally lose our physical life (though he has called some to martyrdom) but to surrender our hearts and minds and wills to him, so that in return we can receive his salvation and honor. The party is fine, as far it goes. The celebration is fun. The happiness is good and right and genuine. But let’s use this text as an opportunity to go deeper, to engage with the real mission of Jesus, and to receive him as our true king.